I spent 15 days at the 17th COP (UFCCC climate change summit) which ended yesterday morning. Now, as I sit here awaiting my flight back home, I am counting my gifts from Durban. Some of them came easily, some I gathered and some needed to be dug. 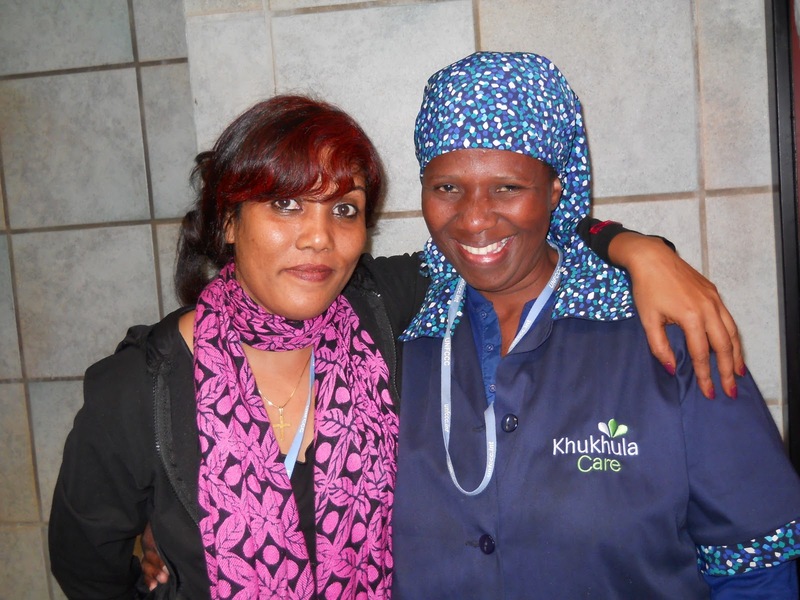 Me and Mothiba - a cleaner lady in the summit who shifted to Durban after her village home was washed away in flash flood.We need to write reports not just OF people like Mothiba, but also FOR her. My first takeaway is that climate change reporting is changing and that there is a growing hunger for new perspectives, new kind of stories; people are aware of the problems, but they want to know what is happening on the solution front and what ordinary people like them are doing and can do. For long,climate change has been a specialized domain, where diplomatic and technical terms ruled the roost and the reports were aimed at policy makers. It felt as though if you were not a scientist or a diplomat, you just didn't have to read or talk about climate change. 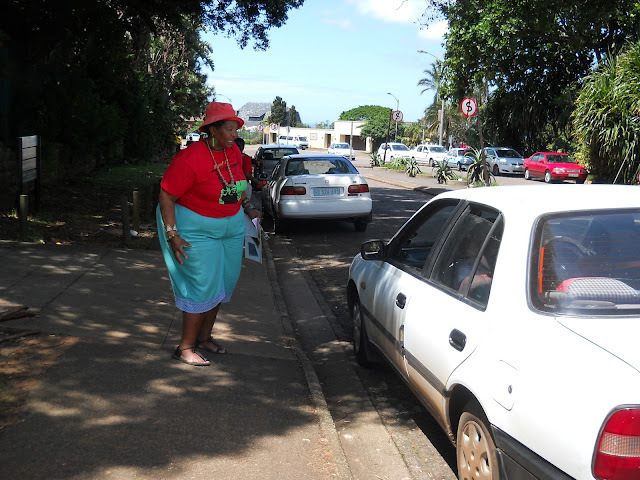 But in Durban I saw reports written for the common people. Also, I saw blogs were working better than news reports' as they were subtle and easy to grasp. On my own stories and blogs I had comments from my audience who were commoners in every sense and that showed how very concerned they were; they wanted to know what was happening in the COP17 and they especially felt encouraged if there was something positive happening. I take that as the sign of a change and.I think in coming days this will gain a momentum and so if we create a scope for our audience to be a part of the story, they will get involved with relative ease. The number of women joining the climate change fight is increasing. Its heartening to see they are working outside the known circle of big fat NGOs and government agencies. This is sign of change! My next takeaway is that the involvement of women in the fight against climate change is increasing. I have been lucky to have met so many women from all over the world who were shouting from the rooftop, hammering the point that we needed to do more, more urgently, to tackle climate change. These were not your well educated, well articulate women, but women from the rural Africa, Asia and Latin America. Some were from NGOs, some were journalists and students, while a big number of them were farmers or small business owners. Within the COP, there were indeed events that highlighted how women suffered from climate change, but I felt that now directly affected women were growing in number and so they, without the help of big NGOs, were uniting and speaking out against climate change. I went to Howard College and I saw some landless farmers from Limpopo, South Africa and Bulawayo, Zimbabwe. Suddenly a man, driving a swanky car, pulled over and asked why there were people making so much noise .He was referring to another group that was demonstrating, asking for action on climate change. Now,one of the landless farmers - a huge, buxom lady - swung back and gave the man such a spirited lecture, it made many people gather around her. "Mr Zuma (South African President) thinks hosting a big event is enough to make us proud. But we are not looking for pride. We want water for our farms and food for our kids. So Zuma should focus on making a deal come through,' I heard her say. Now, this is real Africa speaking! My 3rd and final takeaway is something more material: a Nelson Mandela coin. South Africa for me has been always the land of Mandela - one of the handful of people I really hero worship. So, every time I met a local, I wanted to know how was Mr Mandela now and where was he and so on. I learned that he was very old and was in his ancestral home in a place called Qunu, in Eastern Cape. He lived there, away from the public eye, in peace that he so deserved. It made me sad that I wouldn't be able to meet him. 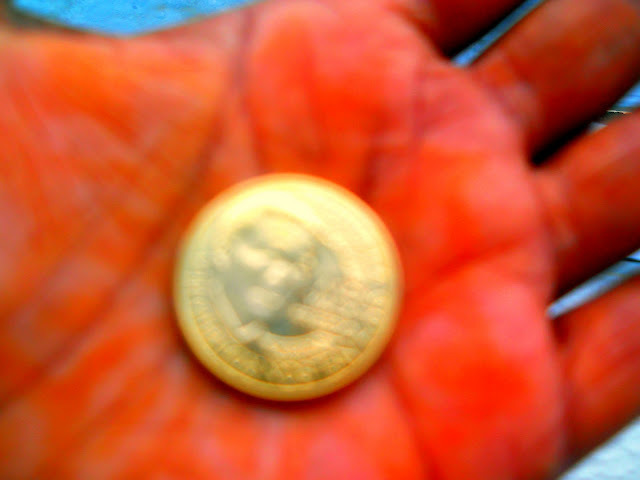 But then I went to exchange my money in a local bank and when I was leaving, they gave me this small coin with Mandela's picture and name inscripted on it. And now, I have got something that is more valuable than all the gold and diamonds of the world put together, something that can make me smile when hard times hit. Thank you Durban. The COP is over, but my takeaways are mine, forever!